Welcome to the Website of (Company) This Web site is best viewed using a contemporary browser. (Company) has used its best commercial efforts to obtain the most accurate and timely information available, all of which are complex and subject to change. Accordingly, (Company) do not guarantee the accuracy, timeliness, reliability or completeness of any of the information contained on, downloaded or accessed from this Website. The performance of this Website and all information contained on, downloaded or accessed from this Website are provided to user on an “as is” basis, without warranties of any kind whatsoever. (Company) shall be not responsible for any problems or technical malfunction of any telephone network or lines, computer on-line systems, servers, Internet access providers, computer equipment, software, or any combination thereof including any injury or damage to user or any other person’s computer as a result of using this Website. (Company) )reserves the right, at its sole discretion, to modify, disable access to or discontinue, temporarily or permanently, any part or all of this Website or any information contained thereon without liability or notice to user. As a visitor to (company) Website, user acknowledge and agree that any reliance on or use by user of any information available on this Website shall be entirely at user own risk. In no event shall (Company) nor any of its data providers be liable for any direct, indirect, consequential or exemplary damages arising from the use or the performance of this Website, even if (Company) or such provider has been advised of the possibility of such damages. User agree to use this website only for the lawful purposes described in more detail in the “Restrictions on Use” section below. User agree not to take any action that might compromise the security of the website, render the site inaccessible to others or otherwise cause damage to the site or the Content. User agree not to add to, subtract from, or otherwise modify the Content, or to attempt to access any Content that is not intended for user. User agree not to use the website in any manner that might interfere with the rights of third parties. To access this website or some of the resources it has to offer, user may be asked to provide certain registration details or other information. It is a condition of user use of this site that all the information user provide on this website will be correct, current, and complete. If (Company) believes the information user provide is not correct, current, or complete, (Company) have the right to refuse user access to this website or any of its resources, and to terminate or suspend user access at any time, without notice. The material and Content accessible from this site, and any other World Wide Web site owned, operated, licensed, or controlled by (Company) is the proprietary information of (company) Company or the party that provided the Content to (company) , and (company) or the party that provided the Content to (company) retains all right, title, and interest in the Content. Accordingly, the Content may not be copied, distributed, republished, uploaded, posted, or transmitted in any way without the prior written consent of (company) , or unless authorized in writing elsewhere on (company) site, except that user may print out a copy of the Content solely for user personal use. User are prohibited from using any of the marks or logos appearing throughout the site without the express written permission of (company). This site and its Content are protected by U.S. and/or foreign copyright laws, and belong to the (Company) or its partners, affiliates, contributors or third parties. The copyrights for the Content are owned by the (Company) or other copyright owners who have authorized their use on this site. User may download and reprint Content for non-commercial, non-public, personal use only (If user are browsing this site as an employee or member of any business or organization, user may download and reprint Content only for educational or other non-commercial purposes within user business or organization, except as otherwise permitted by the (Company), for example in certain password-restricted areas of the site). User may not manipulate or alter in any way images or other Content on the site. User hereby grant to (Company) the royalty-free, perpetual, irrevocable, worldwide, non-exclusive right and license to use, reproduce, modify, adapt, publish, translate, create derivative works from, distribute, perform, and display all content, remarks, suggestions, ideas, graphics, or other information communicated to (Company) through this site (together, hereinafter known as the “Submission”), and to incorporate any Submission in other works in any form, media, or technology now known or later developed. (Company) will not be required to treat any Submission as confidential, and may use any Submission in its business (including without limitation, for products or advertising) without incurring any liability for royalties or any other consideration of any kind, and will not incur any liability as a result of any similarities that may appear in future (Company) operations. By making a Submission, user are guaranteeing to us that user have the legal right to post the content in the Submission and that it will not violate any law or the rights of any person or entity. Protecting the online privacy of children is especially important to us, and those under the age of 18 are protected by federal law. For that reason, (Company) does not knowingly permit children under the age of 18 to become registered members of (company) sites, or to buy goods and services on (company) sites, without verifiable parental consent. (Company) does not knowingly collect or solicit personal information about children under 18, except with their parent’s express consent. If we ever include children under the age of 18 as part of (company) intended site audience, those specific web pages will, in accordance with the provisions of the Children’s Online Privacy Protection Act (COPPA), be clearly identified and provide an explicit privacy notice; and we will provide processes to obtain parental approval, provide access to information and allow parents to request removal of their children’s personal information. 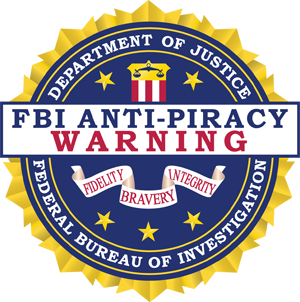 User understand that (Company) cannot and does not guarantee or warrant that files available for downloading from the Internet will be free of viruses, worms, Trojan horses or other code that may manifest contaminating or destructive properties. User are responsible for implementing sufficient procedures and checkpoints to satisfy user particular requirements for accuracy of data input and output, and for maintaining a means external to this site for the reconstruction of any lost data. (Company) does not assume any responsibility or risk for user use of the Internet. (COMPANY) MAKES NO EXPRESS OR IMPLIED WARRANTIES, REPRESENTATIONS OR ENDORSEMENTS WHATSOEVER WITH RESPECT TO THE SITE, THE SERVICE OR THE CONTENT. THE COMPANY EXPRESSLY DISCLAIMS ALL WARRANTIES OF ANY KIND, EXPRESS, IMPLIED, STATUTORY OR OTHERWISE, INCLUDING, BUT NOT LIMITED TO, IMPLIED WARRANTIES OF MERCHANTABILITY, FITNESS FOR A PARTICULAR PURPOSE, TITLE AND NON-INFRINGEMENT, WITH REGARD TO THE SITE, THE SERVICE, THE CONTENT, AND ANY PRODUCT OR SERVICE FURNISHED OR TO BE FURNISHED VIA THE SITE. THE COMPANY DOES NOT WARRANT THAT THE FUNCTIONS PERFORMED BY THE SITE OR THE SERVICE WILL BE UNINTERRUPTED, TIMELY, SECURE OR ERROR-FREE, OR THAT DEFECTS IN THE SITE OR THE SERVICE WILL BE CORRECTED. THE COMPANY DOES NOT WARRANT THE ACCURACY OR COMPLETENESS OF THE CONTENT, OR THAT ANY ERRORS IN THE CONTENT WILL BE CORRECTED. THE SITE, THE SERVICE AND THE CONTENT ARE PROVIDED ON AN “AS IS” AND “AS AVAILABLE” BASIS. COMPANY, ITS SUBSIDIARIES, AFFILIATES, LICENSORS, SERVICE PROVIDERS, CONTENT PROVIDERS, EMPLOYEES, AGENTS, OFFICERS, AND DIRECTORS WILL NOT BE LIABLE FOR ANY INCIDENTAL, DIRECT, INDIRECT, PUNITIVE, ACTUAL, CONSEQUENTIAL, SPECIAL, EXEMPLARY, OR OTHER DAMAGES, INCLUDING LOSS OF REVENUE OR INCOME, PAIN AND SUFFERING, EMOTIONAL DISTRESS, OR SIMILAR DAMAGES, EVEN IF COMPANY HAS BEEN ADVISED OF THE POSSIBILITY OF SUCH DAMAGES. IN NO EVENT WILL THE COLLECTIVE LIABILITY OF COMPANY AND ITS SUBSIDIARIES, AFFILIATES, LICENSORS, SERVICE PROVIDERS, CONTENT PROVIDERS, EMPLOYEES, AGENTS, OFFICERS, AND DIRECTORS, TO ANY PARTY (REGARDLESS OF THE FORM OF ACTION, WHETHER IN CONTRACT, TORT, OR OTHERWISE) EXCEED THE GREATER OF $100 OR THE AMOUNT USER HAVE PAID TO COMPANY FOR THE APPLICABLE CONTENT, PRODUCT OR SERVICE OUT OF WHICH LIABILITY AROSE. Any passwords used for this site are for individual use only. User will be responsible for the security of user password (if any). (Company) will be entitled to monitor user password and, at its discretion, require user to change it. If user use a password that (Company) considers insecure, (Company) will be entitled to require the password to be changed and/or terminate user account. BY ACCEPTING THIS AGREEMENT USER WAIVE AND HOLD HARMLESS (COMPANY) FROM ANY CLAIMS RESULTING FROM ANY ACTION TAKEN BY COMPANY DURING OR AS A RESULT OF ITS INVESTIGATIONS AND/OR FROM ANY ACTIONS TAKEN AS A CONSEQUENCE OF INVESTIGATIONS BY EITHER THE COMPANY OR LAW ENFORCEMENT AUTHORITIES. Pursuant to Title 17, United States Code, Section 512(c)(2), notifications of claimed copyright infringement should be sent to Service Provider’s Designated Agent. sell access to or the use of this Website, including any content contained on, downloaded or accessed from this Website; and intentionally alter the format in which financial data is provided by us or otherwise circumvent (Company) regular interfaces to such data. From time-to-time (Company) site may request information from users via surveys. Participation in these surveys is completely voluntary and the user therefore has a choice whether or not to disclose this information. Information requested may include contact information (such as name and address), and demographic information (such as zip code, age level). Survey information will be used for purposes of monitoring or improving the use and satisfaction of this site. Also any comments, stories, etc that are submitted become the property of (Company) and whatever use (Company) seems fit to produce in the way of greeting cards, books, or other items. User privacy is very important to us. (Company) want to make user experience on the Internet as enjoyable and rewarding as possible, and we want user to use the Internet’s vast array of information, tools, and opportunities with complete confidence. Members may be asked to provide certain personal information when they sign up for (Company) Projects, Products or Services including name, address, telephone number, billing information (such as a credit card number), and the type of personal computer being used to access the Services. The personal information collected from Members during the registration process (or at any other time) is used primarily to provide a customized experience as user use (company) Products and Services. User information will never be licensed or sold to any third party. However, (Company) may make limited disclosure of personal information under the specific circumstances described in the “Disclosure” section below. • Companies who work on (Company) behalf: (Company) contract with other companies to perform business support functions on (Company) behalf, which may involve limited access to USER personal information. (Company) require these companies to use the information only to provide the contracted services; they are prohibited from transferring the information to another party except as needed to provide those services. Some examples of these business support functions include order fulfillment, coupon fulfillment, award and rebate fulfillments, customer survey execution and information systems management. (Company) also may make aggregate non-personal information available to select service providers. • Subsidiaries and joint ventures: A subsidiary or a joint venture is an organization in which (Company) own at least a 50% interest. If (Company)shares user information with a subsidiary or joint venture partner, (Company) will require that they not transfer USER information to another party for marketing purposes or use user information contrary to user expressed choices. If USER have indicated that user do not want to receive any marketing information from (Company), (Company) will not share user information with (Company) subsidiary or joint venture partner for their marketing purposes. • Co-branded and Partner Pages: (Company) may share information with partner companies who jointly present special offers or promotions on co-branded pages within (company) site. USER will be notified of this sharing when user are asked to furnish personal data on such a page. The partner’s use of any information user submit will be governed by the partner’s own privacy notice, which USER can review before submitting user information. • Business Transfers: (Company) reserves the right to transfer USER personal information in connection with the sale or transfer of all or a portion of (company) business or assets. If the business is sold or transferred, (Company) will give user an opportunity to tell us not to transfer USER personal information. In some cases, this may mean that the new organization will not be able to continue providing to USER the services or products that (Company) provided. • Law Enforcement: (Company) may disclose personal information to third parties without USER consent for any of the following reasons: to comply with any law, regulation or court order, to cooperate with Government investigations, to help prevent fraud or to enforce or protect the rights of (Company) or its subsidiaries. • With USER Consent: In all other cases, (Company) will obtain USER express consent before sharing USER information with third parties. For example, (Company) may conduct a joint offer or contest with a third party and user will be asked whether USER personal information should be shared with that third party. If USER order services or products directly from (Company), (Company) will use the personal information USER provide only to process that order. (Company) do not share this information with outside parties except to the extent necessary to complete that order. (Company) may display (Company) online advertisements. In those cases (Company) share aggregated and non-identifying information about (Company) Visitors and Members collected through the registration process as well as through online surveys and promotions with these advertisers. Additionally, in some instances, (Company) use this aggregated and non-identifying information to deliver tailored advertisements or joint ventures. For instance, an advertiser or joint venture company tells us the audience they want to reach and provides us an advertisement tailored to the audience. Based upon the aggregated and non-identifying information (Company) have collected, (Company) may then display or send the advertisement to the intended audience. (Company) does not share personal information about its Visitors or Members with these advertisers or joint venture companies. Information about how to opt-out of online advertisements user may receive from (Company) will be contained in the ads themselves. When Visitors or Members send email inquiries to (Company), the return email address is used to answer the email inquiry we receive. (Company) does not use the return email address for any other purpose and does not share the return email address with any third party. (Company) may periodically conduct both business and individual customer surveys. (Company) encourage (Company) customers to participate in these surveys because they provide us with important information that helps us to improve the types of products and services we offer and how (Company) provide them to user. User personal information and responses will remain strictly confidential, even if the survey is conducted by a third party. Participation in (Company) customer surveys is voluntary. Information about how to opt-out of surveys will be contained in survey communications. (Company)may take the information (Company) receive from individuals responding to (company) customer surveys and combine (or aggregate) it with the responses of other customers (Company) may have, to create broader, generic responses to the survey questions (such as gender, age, residence, hobbies, education, employment, industry sector, or other demographic information). (Company) then use the aggregated information to improve the quality of (Company) services to user, and to develop new services and products. This aggregated, non-personally identifying information may be shared with third parties. • to deliver information specific to user interests. Web Beacons: (Company) may also place small “tracker gifs” or “beacons” on many of the pages on (Company) website, in online advertising with third parties, and in (Company) email. (Company) use these beacons, in connection with Cookies, to collect non-personal data on the usage of (Company) site including but not limited to the date and time of the visit, the pages visited, the referring web page, the type of browser (e.g., Internet Explorer, NetScape), the type of operating system (e.g., Windows, Linux, or Mac), and the domain name of the visitor’s Internet service provider (e.g., AOL). This information is collected about thousands of site visits and analyzed as a whole. This information is useful in, for example, tracking the performance of (company) online advertising such as online banner ads and to determine where to place future advertising on other web sites. Protecting the online privacy of children is especially important, and those under the age of 18 are protected by federal law. For that reason, (Company) does not knowingly permit children under the age of 18 to become registered members of (Company) sites, or to buy goods and services on (Company) sites, without verifiable parental consent. (Company) does not knowingly collect or solicit personal information about children under 18, except with their parent’s express consent. If (Company) ever include children under the age of 18 as part of (Company) intended site audience, those specific web pages will, in accordance with the provisions of the Children’s Online Privacy Protection Act (COPPA), be clearly identified and provide an explicit privacy notice; and (Company) will provide processes to obtain parental approval, provide access to information and allow parents to request removal of their children’s personal information. (Company) encourages parents and guardians to spend time with their children online and to participate in their interactive activities and interests. Some parts of (Company) site may enable user to participate in public services such as discussion boards, chats, and live events. Please use discretion when posting personal information about yourself when using these services. Be aware that when user disclose personal information at these sites, such as user name, member name, email address, etc., the information may be collected and used by others to send unsolicited email. The services are open to the public, and what user post there can be seen by anyone and is not protected. We cannot control the comments that user may receive while user participate in these services. User may find other people’s comments to be offensive, harmful or inaccurate. (Company)implement a variety of administrative, managerial, and technical security measures to help protect user personal information. (Company) has various internal control standards which relate specifically to the handling of personal information. These include certain controls to help safeguard the information we collect online. (Company) employees are trained to understand and comply with these controls and (Company) communicate (Company) Privacy Notice, practices and guidelines to (Company) employees. However, while (Company) strive to protect user personal information, user must also take steps to protect user information. (Company) urge user to take every precaution to protect user personal information while user are on the Internet. Services and Web sites we sponsor have security measures in place to protect the loss, misuse, and alteration of the information under (company) control. While (Company) make every effort to ensure the integrity and security of (company) network and systems, (Company) cannot guarantee that (company) security measures will prevent third-party “hackers” from illegally obtaining this information. This privacy statement discloses the privacy practices for (Company), respects user privacy. (company) purpose in collecting information from user is to help us provide user with better service. We will not willfully disclose any individually identifiable information about user to any third party without first receiving user permission, as explained in this privacy statement. Furthermore, we do not specifically target children under the age of 18, nor do we knowingly collect, without parental consent, individually identifiable information from such. Because this Web site wants to demonstrate its commitment to user privacy, it has agreed to disclose its information practices and have its privacy practices available for review. (Company)is the sole owner of the information collected on this site. (Company) will not sell, share, or rent this information to others in ways different from what is disclosed in this statement. A cookie is a piece of data stored on the user’s hard drive containing information about the user. Usage of a cookie is in no way linked to any personally identifiable information while on (Company) site. Once the user closes their browser, the cookie simply terminates. For instance, by setting a cookie on (Company) site, the user would not have to log in a password more than once, thereby saving time while on (Company) site. (Company)use IP addresses to analyze trends, administer the site, track user’s movement, and gather broad demographic information for aggregate use. (Company) may share aggregated demographic information with (Company) partners and advertisers. This is not linked to any personal information that can identify any individual person. (Company)use a credit card processing company to bill users for goods and services. These companies do not retain, share, store or use personally identifiable information for any secondary purposes. (Company)may partner with another party to provide specific services. When the user signs up for these services, (Company) will share names, or other contact information that is necessary for the third party to provide these services. These parties are not allowed to use personally identifiable information except for the purpose of providing these services. This Web site contains links to other sites. Please be aware that (Company) is not responsible for the privacy practices of such other sites. (Company) encourage (Company) users to be aware when they leave (Company) site and to read the privacy statements of each and every Web site that collects personally identifiable information. This privacy statement applies solely to information collected by this Web site. If a user wishes to subscribe to (Company) newsletter, (Company) ask for contact information such as name and email address. From time-to-time (Company) site may request information from users via surveys. Participation in these surveys is completely voluntary and the user therefore has a choice whether or not to disclose this information. Information requested may include contact information (such as name and address), and demographic information (such as zip code, age level). Survey information will be used for purposes of monitoring or improving the use and satisfaction of (Company) website. If a user elects to use (company) referral service for informing a friend about (Company) website, we ask them for the friend’s name and email address. The friend will receive a one-time email inviting them to visit the site. (Company) stores this information for the sole purpose of sending this one-time email. The friend may contact (Company) to request the removal of this information from (company) database. (Company) Website takes every precaution to protect (Company) users’ information. When users submit sensitive information via the Web site, the information is protected both online and off-line. If user have any questions about the security of (Company) Website, please contact (Company). NOTE: USER user agree that there will be no lawsuits set forth against (Company) or site and that all complaints, claims, disagreements, etc. will be settled out of court and in a timely manner with no fault applied to (Company). If USER has a compalint against another USER or content all their inquires need to be to that other USER and the (Company) website is not to be held responsible. ANY EARNINGS OR INCOME STATEMENTS, OR EARNINGS OR INCOME EXAMPLES, THAT MAY BE MADE ON THIS SITE ARE ONLY ESTIMATES OF WHAT WE THINK USER COULD EARN. THERE IS NO ASSURANCE USER’LL DO AS WELL. IF USER RELY UPON (COMPANY) FIGURES, USER MUST ACCEPT THE RISK OF NOT DOING AS WELL. WHERE SPECIFIC INCOME FIGURES ARE USED, AND ATTRIBUTED TO AN INDIVIDUAL OR BUSINESS, THOSE PERSONS OR BUSINESSES HAVE EARNED THAT AMOUNT. THERE IS NO ASSURANCE USER’LL DO AS WELL. IF USER RELY UPON (COMPANY) FIGURES; USER MUST ACCEPT THE RISK OF NOT DOING AS WELL. THERE CAN BE NO ASSURANCE THAT ANY PRIOR SUCCESSES, OR PAST RESULTS, AS TO INCOME EARNINGS, CAN BE USED AS AN INDICATION OF USER FUTURE SUCCESS OR RESULTS. MONETARY AND INCOME RESULTS ARE BASED ON MANY FACTORS. WE HAVE NO WAY OF KNOWING HOW WELL USER WILL DO, AS WE DO NOT KNOW USER, USER BACKGROUND, USER WORK ETHIC, OR USER BUSINESS SKILLS OR PRACTICES. THEREFORE WE DO NOT GUARANTEE OR IMPLY THAT USER WILL GET RICH, THAT USER WILL DO AS WELL, OR MAKE ANY MONEY AT ALL. THERE IS NO ASSURANCE USER’LL DO AS WELL. IF USER RELY UPON (COMPANY) FIGURES; USER MUST ACCEPT THE RISK OF NOT DOING AS WELL. INTERNET BUSINESSES AND EARNINGS DERIVED THEREFROM, HAVE UNKNOWN RISKS INVOLVED, AND ARE NOT SUITABLE FOR EVERYONE. MAKING DECISIONS BASED ON ANY INFORMATION PRESENTED IN (COMPANY) PRODUCTS, SERVICES, OR WEB SITE, SHOULD BE DONE ONLY WITH THE KNOWLEDGE THAT USER COULD EXPERIENCE SIGNIFICANT LOSSES, OR MAKE NO MONEY AT ALL. ALL PRODUCTS AND SERVICES BY (COMPANY) COMPANY ARE FOR EDUCATIONAL AND INFORMATIONAL PURPOSES ONLY. USE CAUTION AND SEEK THE ADVICE OF QUALIFIED PROFESSIONALS. CHECK WITH USER ACCOUNTANT, LAWYER OR PROFESSIONAL ADVISOR, BEFORE ACTING ON THIS OR ANY INFORMATION. USERS OF (COMPANY) PRODUCTS, SERVICES AND WEBSITE ARE ADVISED TO DO THEIR OWN DUE DILIGENCE WHEN IT COMES TO MAKING BUSINESS DECISIONS AND ALL INFORMATION, PRODUCTS, AND SERVICES THAT HAVE BEEN PROVIDED SHOULD BE INDEPENDENTLY VERIFIED BY USER OWN QUALIFIED PROFESSIONALS. (COMPANY) INFORMATION, PRODUCTS, AND SERVICES ON THIS WEB SITE SHOULD BE CAREFULLY CONSIDERED AND EVALUATED, BEFORE REACHING A BUSINESS DECISION, ON WHETHER TO RELY ON THEM. USER AGREE THAT (COMPANY) COMPANY IS NOT RESPONSIBLE FOR THE SUCCESS OR FAILURE OF USER BUSINESS DECISIONS RELATING TO ANY INFORMATION PRESENTED BY (COMPANY) COMPANY, OR (COMPANY) COMPANY PRODUCTS OR SERVICES. The purpose of (Company) is to provide life coaching, business consulting, holistic lifestyle instruction. Users of (Company) services hereby acknowledge that the following was explained to them and or agrees to the following: 1.) Acknowledges that (Company) is not a physician and is not trained in any way to provide medical diagnosis, medical treatment, psycohtherapy, or any other type of medical advice. 2.) Acknowledges that coaching/ trainging is another tool for teaching individuals about themselves, but that (Company) does not guarantee neither good nor bad will occur nor guarantees the coaching advice given by (Company) will produce good nor bad results. 3.) Acknowledges that (Company) may suggest exercise as part of my lifestyle management. I further understand that swimming, cycling (on and off road), in-line skating, triathlon, x-c skiing, weight training, aerobic classes, martial arts, kick boxing, kung-fu, and any other related sports/ exercises are/any be an extreme test of one’s mental and physical limits and carry with it potential for damage or loss of property, serious injury and death. That the undersigned/ website user/client assumes the risks of participating in these types of events/ activities/ exercises, that they are fit, and they have a regular medical physician they can contact regarding any medical problems that they might develop. The undersigned/website user/client expressly waive, release, discharge and agree not to sue from any liability of death, disability, personal injury (mental, emotional, physical) or action of any kind (Company) for the undersigned/ website user/client participating in said sport events/activities/exercises/healing practices/ EFT/NLP/ Theraputic imagery and or training for said sports/activities/exercises /healing practices /EFT /NLP/ Theraputic imagery. 4.) The undersigned/website user/client agree that this is the full agreement between the parties, that (Company) nor anyone else has not verbally contradicted any of the terms of this release and that the undersigned/website user/client has entered into this agreement free and voluntarily without force or coercion. 5.) If payment is made with credit card or online payment such as PayPal® , client agrees that no reversal of payment can be innitiated without proper arbitration or (Company)approval. Any appointments missed will be applied to further dates and times. If upon purchase of CDs user do not find even one thing that helps user in user life, a refund will be made once CDs are returned undamaged in reselable form. (Company) is a registered member of the Universal Ministries Church. *Please Note: about Emotional Freedom Techniques EFT: Emotional Freedom Techniques are a wonderful self help tool BUT: EFT is powerful and makes changes to user body and user thoughts. We therefore recommend strongly that anyone suffering from diagnosed psychiatric disorders, takes psychoactive medication or is under ongoing treatment with a counsellor, psychologist, psychiatrist, outpatient department should ALWAYS consult with their care providers before starting any new form of treatment, including EFT Emotional Freedom Techniques. In comparative studies, about 60% of people using EFT for the first time have a real sense of release and that “something important has changed”. DISCLAIMER: The resources in this website are complementary to medical and psychological resources. As such they are not intended to serve as substitutes for proper medical or psychological care. The products and the claims made about specific products on or through this site have not been evaluated by (Company) or the United States Food and Drug Administration and are not approved to diagnose, treat, cure or prevent disease. The information provided on this site is for informational purposes only and is not intended as a substitute for advice from user physician or other health care professional or any information contained on or in any product label or packaging. User should not use the information on this site for diagnosis or treatment of any health problem or for prescription of any medication or other treatment. User should consult with a healthcare professional before starting any diet, exercise or supplementation program, before taking any medication, or if user have or suspect user might have a health problem. NOTE: please proof before user send, no changes can be made after submission. What user send is what will be posted. Payment: Payment for services are collected based on project and put back into the running of the projects. Once payment and submission information is received AND content is approved, user interview will be posted within 1-3 weeks. There are no refunds if user content is not approved. Follow us on social media and sign up to (company) mailing list on website, to find out when user piece is posted. NOT Accepted content: submissions that don’t answer all the questions, or are over 1,750 words; if the images are not named or sized correctly; submissions that are over the top XXXXXXX rated, violent, demeaning, intentionally harmful, etc. User can email us ONE image before user submit if user have any questions about what is acceptable. PROOFING: user proof user own words. User submission will not be edited or proofed by (Company). The way user write is up to user. And user accept all responsibility for any errors even if by mistake something is left off, we apologize in advance. Contributors takes full responsibility for their involvement and that they will review/proof their submitted interview question / answers and photo submission for the project and approve them for printing and use in the art-projects and etcs. By submitting. Along with the possible use of the content supplied being made into a yearly book for the website. Must be 18yrs and older. Please follow the directions as this has to be easy for both of us. Final choices are up to the (Company), so if user feel user might not be included, please contact us first with an image sample and we will let user know before user submit. If user are submitting to one of the book projects. The book will be listed on my amazon account for sale. One thing about Amazon is that books never die, get deleted, so it will live for a long time. Or at least until there is no longer an amazon. Here is the link to the Amazon affiliate program user can check it out https://affiliate-program.amazon.com/ this is a way user can make money from selling this and any other book user add to user affiliate listings. Be sure to join the mailing list at the website. By submitting user image and content user are agreeing that user have the rights to the material user submit and user submission is representative of a signature agreement. As a contributor (user, artist, etc.) accepts and acknowledges: that any reproductions, photos, writing, comments of/by user or user work remains © to user, aritist, etc. ; and that user are allowing (Company) to use imagery/ Contributor photo/written submission, etc. in all or part, on the website, in a book and to accompany any events, PR, etc. that might be planned for the website or project’s life.